After a memorable and SOLD-OUT night of one of Belgium’s longest running party concepts, we are super-excited to announce our upcoming event. 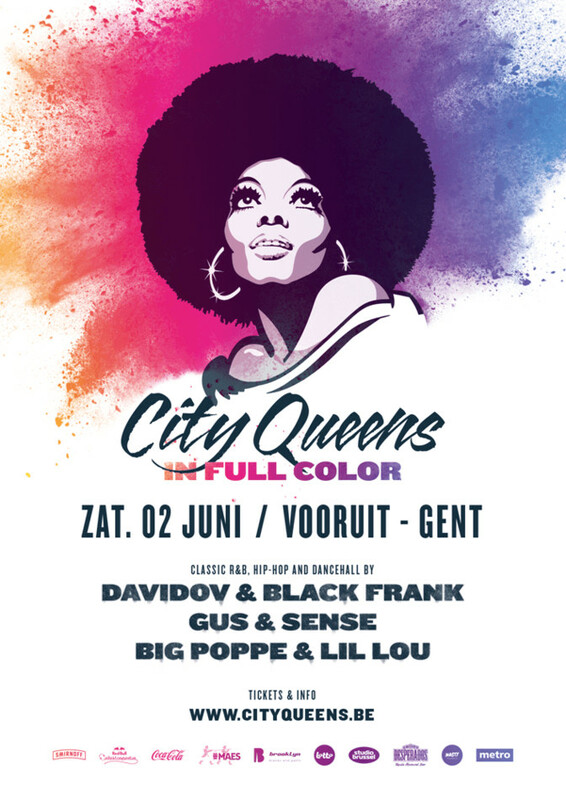 On Saturday 02nd of June, City Queens will add even more color to your vibrant life than ever before. Come dance and sing along to the sounds of 90’s R&B, early 00’s Hip Hop and classic dancehall, in our flashing and dashing scenery. And City Queens is about more than just the music! Focussing on the full experience of a unique night out, you’ll appreciate, like and love every little bit of it. Kind and good-hearted as we are, we reward our “EARLYBIRD” ticket buyers with a FREE ENTRANCE. Order €10 drinktokens ONLINE and download your ticket. This offer is off course limited. In our 2nd ticketwave you can order €10 drinktokens ONLINE + pay €5 entrance fee. Still a very reasonable deal, don’t you think!